Offices of Inspector General are established by law at the local, state, and federal levels. Inspectors General and their Offices share a consistent mandate: they are responsible for eliminating corruption, fraud, and abuse, and holding government officials accountable for efficient and cost-effective government. Offices of Inspector General audit, inspect, evaluate, and investigate government programs and operations, reporting their findings in publicly released reports. OIG work products are judged by their timeliness, accuracy, objectivity, fairness, and usefulness; they must adhere to the highest professional standards and quality controls. OIGs are granted substantial powers to perform these oversight duties. 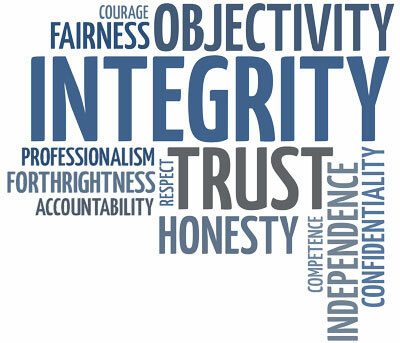 To maintain the public trust, Inspectors General and their staff must maintain the highest level of integrity and professionalism: they must hold themselves to the same or higher standards than other government entities and have a duty to conduct their own work in an efficient and effective manner. conducting preliminary investigations into potential fraud and abuse when it receives credible allegations from various sources, documentary evidence, or indicators resulting from computer-aided analysis and other OIG work. advise the City of New Orleans on developing sound management information and financial reporting systems as well as providing advice on ways to strengthen the operations of the City of New Orleans. The inspections and evaluations will be conducted in accordance with the Principles and Standards for Offices of Inspector General (Green Book) and selected through the OIG strategic planning process with approval by the Inspector General. Contract monitoring will include monitoring high-risk contracts periodically, reviewing change orders and contract amendments, auditing some invoices, and inspecting some deliveries or the completed work for substitute or inferior materials. A formal review, resulting in a full report, will be conducted of a troubled contract unless the matters have been referred to a prosecutor. In 2009, The Independent Police Monitor’s Office (IPM), which was established by City Code Ordinance §2-1121 became functional under the OIG. The IPM is assisted by a Deputy Independent Police Monitor and an Executive Director of Community Relations, all of whom are appointed by the Inspector General.